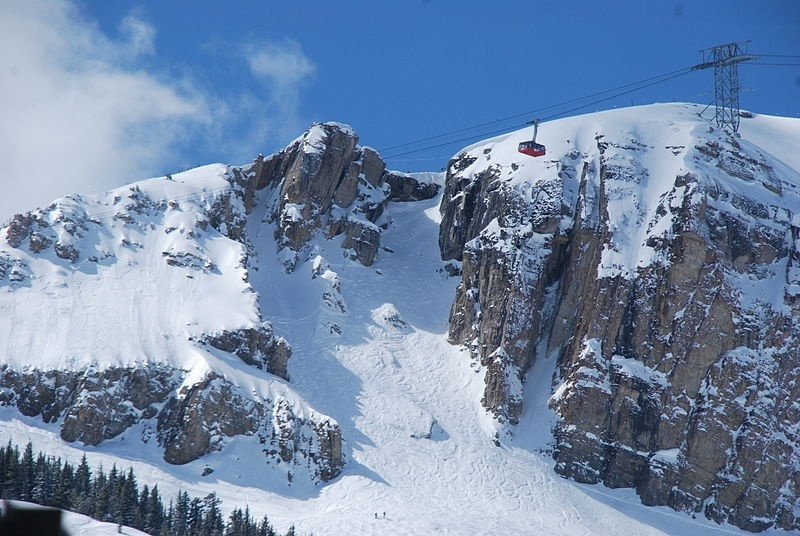 Jackson, WY – A Wyoming Ninth District Court judge on Thursday heard arguments from attorneys representing Jackson Hole Mountain Resort (JHMR) and Christine Nodine, whose husband was killed by an in-bounds avalanche in the Wyoming ski resort’s Toilet Bowl. Thursday’s hearing occurred as a result of JHMR’s motion for summary judgment in Christine Nodine’s wrongful death lawsuit against the resort. Toilet Bowl and all of JHMR’s entire upper mountain had been closed for two days leading up to the December 27, 2008 incident. The lawsuit alleges that the ski resort failed to warn David Nodine, age 31 and a Jackson Hole season pass holder, of the avalanche risk present at the time and failed to adequately control the avalanche risk on the slope. Patrollers reportedly detonated explosives in Toilet Bowl on the day of the slide, without any visible results. A separate slide in Toilet Bowl earlier in the day partially buried a snowboarder 40 minutes before the avalanche that killed Nodine, who was wearing an avalanche transceiver at the time. Jackson Hole Mountain Resort is renowned for its expert terrain, including Corbet's Couloir pictured here. Christine Nodine, who now resides with the couple’s child in Texas, first filed the lawsuit in federal court, which dismissed the case on the grounds that David Nodine’s season pass agreement requires disputes to be filed in state court. She subsequently refiled her lawsuit in state court in December 2010. She contends that ski area management was pressuring ski patrollers to open the upper mountain during the busy holiday period. “The pressure to keep the Thunder lift open is a bad fact for the resort,” opined skier and lawyer Steven M. Grossman, Esq., a Legal Contributor to First Tracks Online and frequent hiker of Jackson Hole ski terrain. “However, it does not directly speak to whether the mountain was legally at fault for keeping this particular trail open. It is unlikely that patrollers would have had to close the Thunder lift entirely if they were concerned about an additional slide in Toilet Bowl. Other trails are accessible from the lift. In defending the action, the ski resort maintains that the Wyoming Recreation Safety Act bars Nodine’s lawsuit, and that her husband signed a waiver at the time of his season pass purchase that releases the resort from any liability. Nodine’s lawyers counter that the resort’s actions constitute “willful and wanton misconduct” not covered by the statute or the waiver.